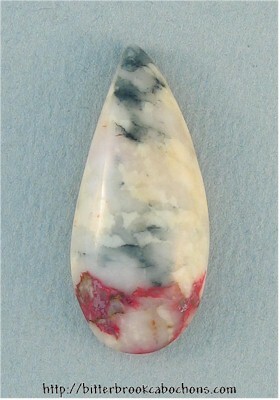 Raspberry red and black Cinnabar floating in Quartz! This fairly rare material is a real beauty! 26mm x 12mm x 6mm. Weight: 12.85 carats.